Adobe® LiveCycle® Enterprise Suite 4 is an enterprise document and form platform that helps you capture and process information, deliver personalized communications, and protect and track sensitive information. I love the LiveCycle software for making fill-in forms for the company I work for. It is necessary for us to make all our forms this way for security reasons and also for the ease for others to fill in these forms. Making these forms is a creative task I enjoy. Revising them is very easy and efficient too. I love this software, but there isn't a lot of support available when you run into problems. I have purchased a book on LiveCycle and that has helped out many times, a lifesaver. I would love to recommend LiveCycle, but not sure if there is going to be much support in the future. I am hoping they will continue and upgrade in the future because I think this software is amazing. I have tried other software for designing forms, but I think LiveCycle is the best. Our company needs to have secure documents on their intranet site, and these forms made with LiveCycle serve this purpose. I have designed fill-in forms for many different departments, ranging from Human Resource forms to technical fill-ins. These forms are easy to revise when needed and our clients have always been satisfied with the ease and security of our forms. I love the ability to modify and create PDF forms. LiveCycle makes it so easy. You can use an existing document for a template (PDF, Word Doc, Excel file, etc.) modify it as needed, preview the PDF, and have a new form ready to distribute in no time at all. When you first open a document it can be overwhelming. There are so many "bells and whistles" it can feel like too much. But once you dig in, the possibilities are endless. I do wish it was still offered as a part of the Adobe PRO package. The fact that we had to buy both was a hard sell. If you have forms, make forms, use forms, need to update your forms, I highly recommend this product. The help guide can ease you into the process and make the task seem doable. Our Firm had a standard set of forms; however, each time the laws changed or the fees, we would need to get all new forms. Once we got LiveCycle, we were able to make our own updates and ensure that each form was current and up to date with little delay. 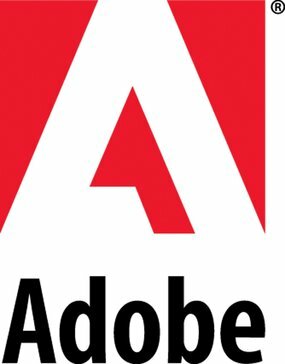 "Adobe LiveCycle has assisted me in performing a task when there was no other program that could." I love the fact that Adobe LiveCycle allows you to convert PDF documents into forms that you can then customize. I also love the many different form templates that are reloaded to choose from. This has saved me so much time while still allowing me to create professional looking forms. I love that after developing a form I'm able to define its logic and modify it to match paper versions and meet requirements. The Guide Builder has allowed me to easy develop interactive data capture applications, streamlining what used to be a daunting task. When converting a PDF to a form with LiveCycle, depending on the PDF contents, I have found that the PDF's don't always convert looking the same or with completely workable contents. In some cases, after converting, some parts of the PDF aren't editable in LiveCycle and/or aren't lined up as they were in the original PDF document. I recommend LiveCycle when creating any type of form. Whether you want to develop a form from scratch or use one of the existing and fully customizable templates, it is a great program to get the job done in an efficient manner. "Samples Samples Samples !! " The best thing I like about LiveCycle is that I get to be creative when designing a sample screen for customers to see and choose their options in regards to projects. I dislike the limits that LC puts on me, I cannot do certain things that I would like to do, like enter in an extra long barcode number. This is a really tedious product, it takes a LOT of getting used to and knowing exactly what you are doing. Overall, it can be really beneficial though. Solving extra work and mastering simplicity so that customers will be able to view and choose the appropriate fields. I like the easy functionality of the HTML coding. I wouldn't consider myself by any means an expert coder but this software is easier to manage. I wish it were able to link with other pages automatically. I can always copy and paste. It's very easy to use considering you most likely have adobe installed and runs smooth on your computer. I never had crashes which helps tremendously. I am trying to build timelines and workflows for my projects, currently. I am able to share quickly via email and such of progress. The ability to publish online is helpful and can be quite impressive to others who may not be that tech savvy. "Live Cycle is great for creating unique forms!" I like that I can create PDFs that are individualized to my own unique. I can reuse these PDFS time and time again once I created the initial form. Live Cycle allows me to customize my forms with check boxes, calendars, and time and date fields. Additionally, it allows me to create boxes that can be filled in with special instructions. Personally as a teacher, I used Live Cycle to create a lesson plan form for each class that I teach. Each week I'm able to edit the form to create a unique lesson plan for the week. I dislike that it can be tedious to line up my boxes precisely as for the form to look nice everything needs to be organized. I would recommend that you play around with the program to see its full range of options. Live Cycle has a great deal to offer. This isn't applicable to me as I'm not a business person. I use this program as a teacher to create lesson plan forms for myself and other teachers. "Great automation software with easy to learn curve"
Lots of modules to pick from. Covers everything from PDF and rights management to connectors and content management. Supports mobile access. Makes it easy to personalize workspace for employees given their requirements. Increases productivity at a very competitive cost. Compared to Microsoft solutions, it lacks specially when considering Office Communicator is in widespread use. Although easy to pick up, make sure to give enough time for adaptation by your workforce. Create personalized workspace for employees who will then access it through a browser for complete access to all their modules. "Love LiveCycle for making forms, hard to find support online"
The ease of making business forms makes LiveCycle stand out from other programs that I have used. I dislike that it is very difficult to find any information, instructions, or classes for LiveCycle online. Even at paid sites. Keep trying, there is not a lot of information out there about LiveCycle, but it is a great program once you get the hang of it. I create all of our business forms with LiveCycle. The compatibility with MDWare is priceless. "An odd piece of software"
I like the flexibility with creating forms. I also liked that it gave us the ability to create forms that met rigid state requirements for e-filing. This software is just high-powered enough to make simple forms, but not enough to do anything else really. I struggled with editing forms that I had created in Live Cycle and also with their file sizes when I used it. Make sure you clearly recognize its limitations. We were re-creating forms to be used in a tax software product. This product gave us greater flexibility at the time than our in-house tool did. I like how easy it is to create an actual, useable form. Remembering where to find the fields I want to add may be where I lack in knowledge with this product. We were trying to create a new progress report for our grantees to fill out. One that is user friends and intuitive. This product allowed us to do that. It is easy to use and does not have complicated factors to it. I hate having to drag and create the length of the boxes, sometimes they become uneven and it looks odd. If there were premade boxes that we can drag and drop, that'd be great. We are creating forms for our customers. Because it is easy to use, we are able to create more forms for customer use. "Great for dynamic or SAP-integrated forms"
LC lets us create dynamic PDF forms conditional on user input. This is the only product that allows that functionality. It offers some interesting features like interfacing with external data sources for dynamic form elements or conditions. There are often bugs in the UI and form layout that don't work consistently. We have to be really careful with changes to make sure to always have a backup before making new changes since bugs aren't always reproducible. Dynamic forms may be perhaps the WRONG approach for what it aims to do. It creates the illusion of what forms are and aren't for business people; often demanding a lot of complex forms which could be easily done with separate forms. We use LC for internal forms for various administrative tasks and requests. Life cycle is really good for any type of business forms you need. It will create an invoices and calculate them properly. It also has several other forms like payroll forms, expense reports, applications, paycheck stubs, etc. When you convert Adobe PDF to other versions it doesn't always work well. It helps me to solve create inaccurate invoices. It also helps me to create paychecks stubs. "Great for developing or modifying forms. Powerful tool. " Lets you fully customize any adobe form (if you want to start from a template) or fully customize a new form. Can be a little tricky to use when you are first learning. As with other tools that are geared to performance, this is a powerful tool, but is not as easy to learn. This is used for developing pdf forms for people to be able to easily fill out. Nothing, works as designed, easy to use and create forms, lists, etc. It allows me to augment existing documents as my organization grows. Not as design friendly but does the job. My organization is using more forms to conduct coaching sessions. Using a form that prevents the capture of all the information hinders how that information is shared especially when using hard copies instead of viewing online. Creating flowing forms has made the process so much easier and allowed our colleagues to concentrate on their conversations without the hassles of viewing and printing. * We monitor all LiveCycle reviews to prevent fraudulent reviews and keep review quality high. We do not post reviews by company employees or direct competitors. Validated reviews require the user to submit a screenshot of the product containing their user ID, in order to verify a user is an actual user of the product. Hi there! Are you looking to implement a solution like LiveCycle?